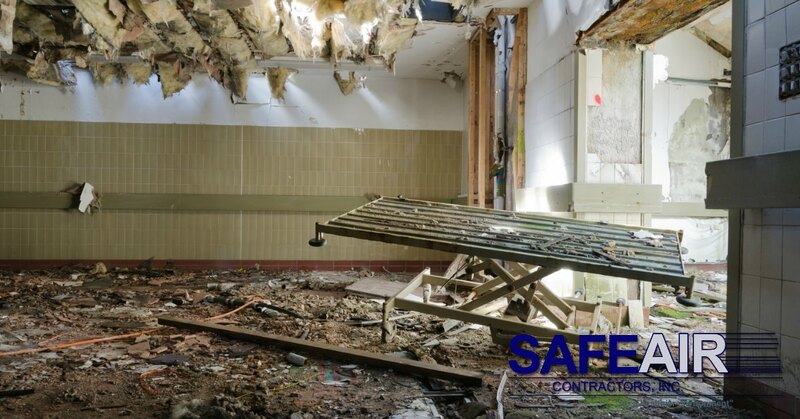 When our schedule permits, here at SafeAir Contractors we offer selective demolition services. If, however, you are looking for a skilled company to provide demolition services, you may be wondering what selective demolition services are. That’s why today we’re going to talk about selective demolition and explain exactly what it means so that you can determine whether selective demolition is right for you. Selective demolition is a safe means of demolishing industrial and residential buildings. Now, a building can be completely demolished or it can undergo partial demolition as is the case with homes that undergo remodeling projects. There are a number of reasons why people choose selective demolition for these projects rather than simply going in and destroying it recklessly. The biggest reason, however, is because it’s simply safer. Going in blindly and destroying a building or a section of a building without knowing what components are inside the building can be exceptionally dangerous. Without proper planning and knowledge of demolition, it’s quite easy for a demolition project to go wrong and a structure to fall in an unplanned way. It’s not just because of the potential for structural disaster that poses a safety risk, though, but also because of the possibility of an explosion if demolition begins without full knowledge of what’s within the walls of the building being demolished. It’s also possible that demolition by a non-experienced demolition crew can release dangerous chemicals into the environment. For example, without knowing that a building has a problem with asbestos, destroying that building will result in asbestos fibers being released into the atmosphere. This is, of course, exceptionally dangerous to anyone in the vicinity who may breathe in the asbestos fibers. Using a trained selective demolition crew, however, means that a building will be checked thoroughly before demolition and any dangerous substances like asbestos will be disposed of properly. Hiring selective demolition experts for your demolition project is also much friendlier to the planet! What a professional crew comes in for your demolition project, they will be able to strip out any material that can be recycled prior to demolition. This allows for those materials to be sent to a recycling plant or reused in other homes when components need replacing or repairing. By doing this, we decrease the demand for new materials, reducing the raw materials being harvested and used in home renovation projects, reducing our carbon footprint by reducing production, and leaving fewer waste products behind for our landfills. Probably the most important step of any selective demolition project is the sorting process. During this step, a selective demolition crew will go into a building that is slated for demolition and separate and sort materials that have been found in the areas scheduled for demolition. For example, copper wiring would be removed so that it might be recycled. This step is also important because it’s when demolition experts analyze materials inside a room to be sure that any dangerous materials are removed and disposed of properly to prevent any explosions or chemical release during demolition. It’s always best to hire a selective demolition crew for your demolition or renovation projects, but it’s even more important when the home or industrial building that you are demolishing is an older building. These buildings are more frequently built using materials that pose health and environmental dangers. For example, homes that were built in the 1950’s are very likely to contain dangerous substances like asbestos. While it is possible to live with asbestos in your home, it’s not advised, particularly when so many dangerous health conditions like mesothelioma and cancer are directly linked to exposure to substances like asbestos! 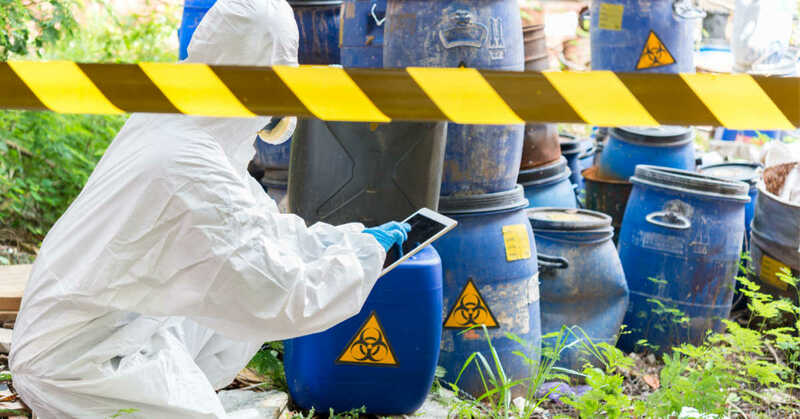 It’s just not worth risking your health, the health of your family, and the health of those living in your direct vicinity, plus, improper demolition can lead to large fines when you are responsible for releasing dangerous substances into the environment! Looking For Selective Demolition Services? If selective demolition services sound like they’re right for you, SafeAir Contractors can help! Just give us a call today at 440-639-1191 to find out if we have availability for your selective demolition project! With our services, you never have to worry about quality of service or security of demolition services because for close to thirty years we have been the environmental remediation company of choice for Ohio!